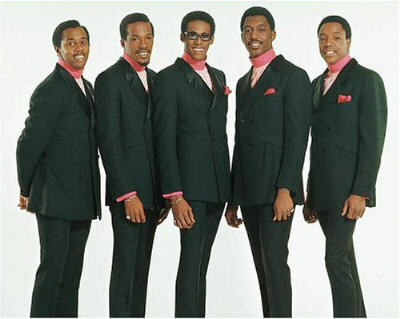 The Temptations are without question one of the most successful and one of the most well known groups of the rock era. A Motown original, this group of five talented guys from Detroit is now considered the original boy band. With a roster of hits that includes My Girl, Get Ready, I Can’t Get Next To You, and Just My Imagination, among others, this group’s catalogue is ripe with hits that still thrill audiences forty years after their first successes. I Know I’m Losing You is my favorite Temptations recording of all time. Their live performance of the song on TCB, their 1968 NBC special with The Supremes, is one of television’s most sizzling nuggets ever. This song still makes people hit the floor dancing. It’s absolutely infectious. The way the guys moved through the choreography while Dennis Edwards led the song is genius. It is simply a piece of history that stands up to any concert performance since. The Temptations are still touring, although with an entirely different line up as most of the original five are now deceased, but this song brings a rousing reaction from audiences nonetheless. It’s just that good.